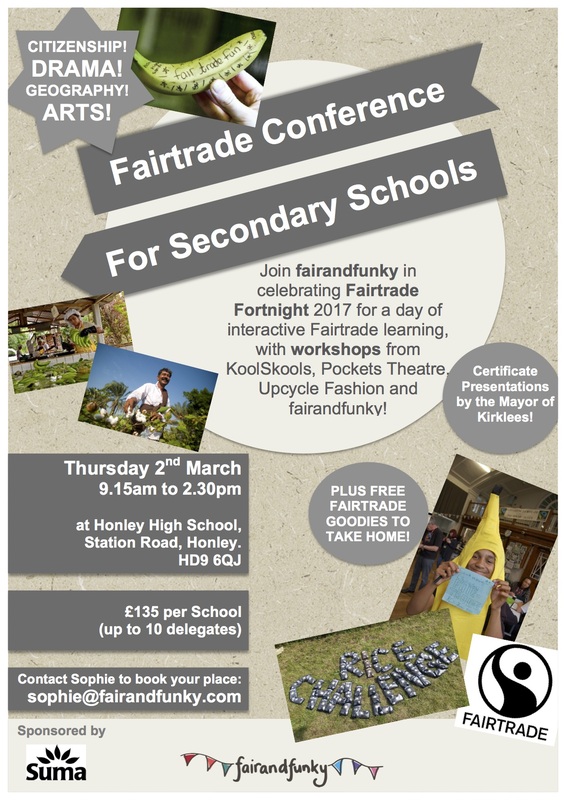 Bookings for The fairandfunky Fairtrade Conference for Secondary Schools on Thursday 2nd March 2017 at Honley High School are OPEN! Please click here to download a booking form for your school. 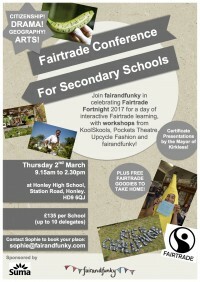 Exclusively for Secondary Schools across Yorkshire and the North, the fairandfunky Conference: ‘Take a break with Fairtrade’ invites schools to bring up 10 delegates to celebrate Fairtrade and inspire students and teachers to get involved with Fairtrade back at their individual schools. Interactive workshops will encourage independent thinking on ethical business, fair decision making, and global citizenship. 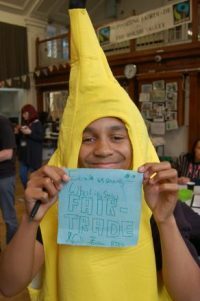 Leading practitioners from fairandfunky, Pockets Theatre, Koolskools and Upcycle Fashion will engage students through drama, creative arts, and debate; enabling delegates to collaborate on shared values and discover more about the impact of Fairtrade on our communities. The conference is supported by The Fairtrade Foundation and Eco-Schools, and will help schools progress on both the Fairtrade Schools Award and ‘Eco-Schools’ journey. During lunch delegates will be able to enjoy networking opportunity with sponsors and workshop providers and shop in the ethical marketplace. The event will close with certificate presentations from the Mayor and Mayoress of Kirklees. And all delegates will take part in the 90kg rice challenge, taking home a bag of rice and other Fairtrade goodies.